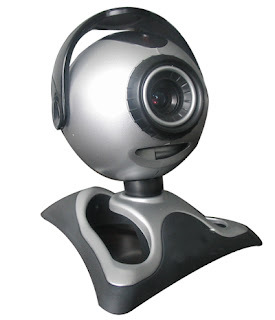 We know that many social community sites such as Facebook and Google plus, they have video chatting feature, and we know that to start video chatting we need Webcam. Sometimes webcam is not available then we can't start video chat. But reading this article you can use mobile phone camera as USB Webcam. Yes you Can Use Your Mobile Phone Camera As Web Camera For Facebook,Yahoo,Skype Or Any other Video Chatting Supported Sites. A Cell Phone with camera. You can use this trick with any kind of mobile phone such as, Nokia, iPhone, Blackberry, Windows Mobile Phones, Symbian S60, Android. Go To This Link http://mobiola.com/mobiola-web-camera And Click On Download And Select Your Mobile Phone To Start Downloading The App. Install Server Part On Your PC (.exe File) And Install Client Part On Your Mobile Phone (ie. .jar,.sis e.t.c). Run Mobiola Webcam On Your Computer. Run Mobiola Webcam On Your Phone. Connect Your Mobile Phone With Your Pc By Using USB data Cable Or Bluetooth Dongle. Now In Your Cell Phone Go To Mobiole Then Go To Options Then Connect. After That Select Bluetooth Or USB (Whatever Is Connected Between Your Phone And PC) To Create A Connection..
Go To Android Market Or Google Play By Your Android Phone And Search For A Application Named "Usb Webcam". Download And Install That Application On Your Android Phone and Turn on USB debugging By Going (Settings->Application->Development->USB Debugging).. Install Server On Your Computer. Connect Your Cell Phone Via USB cable To Your Computer. After That Double Click To Open Server From Your PC, And Open Client app From Your Cell Phone And Create A Connection. That's all. Now you can use your mobile phone camera as USB Webcam.